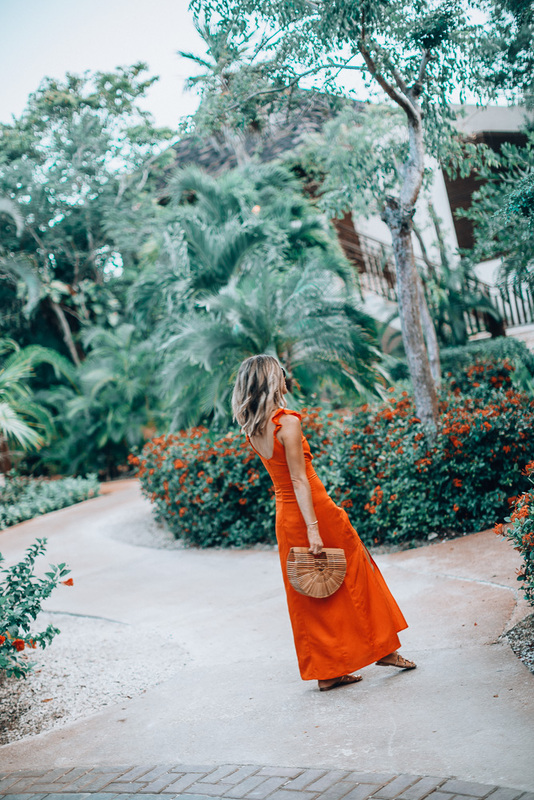 There is something about a little red dress that instantly makes you feel pretty or like the dancing senorita emoji! I snagged this linen red dress right before our trip. I knew it would be the right material for the hot summer nights and the perfect look for an evening out. I like to keep things minimal when I am wearing sort of a statement dress. I love how gold accessories look with anything red and wore gold flats. I can’t believe it’s already Friday! We got home at midnight, last night and it feels like it should be sunday. I am excited to have the weekend to unpack, do laundry and catch up on things before the new week starts! 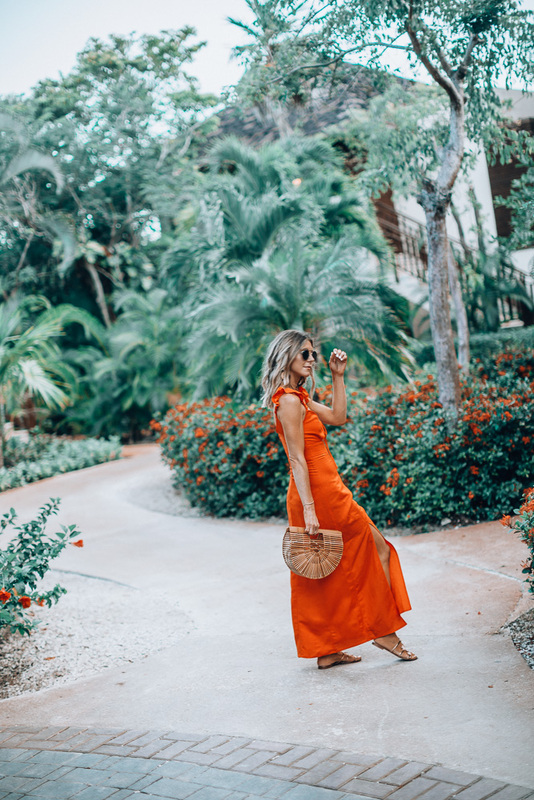 That is the perfect statement dress for summer! Great post! This dress is gorgeous on you! I will say maybe it’s just your photos, but your dress looks like a true orange to me. Regardless it’s still gorgeous.